Kinship is everywhere. 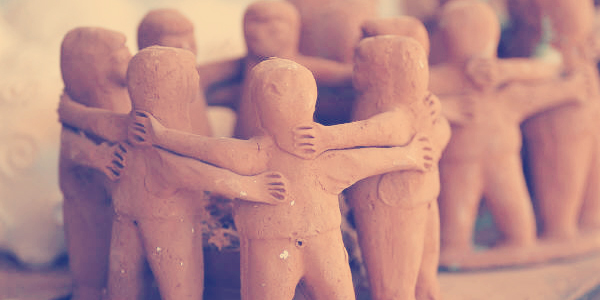 It’s empathy in action: a hug, a comforting word, the backbone of a friendship. Kinship is fundamentally selfless, intrinsically rewarding, a vital and extremely human part of being, well, a human being. Kinship requires work, and while people inherently are driven by it, brands are not individuals and often do a poor job evoking similar feelings. Consumers have been skeptical of today’s brands’ intentions for some time now, and so is it any wonder they have such a hard time earning trust? Martin Weigel, planning director at Wieden + Kennedy Amsterdam, rightly said we have become prisoners of a metaphor, and as we’ve suspended reality for our metaphors, our brands ask consumers for what a person expects from his or her friends—loyalty, trust, attention, love, time—without putting in the reciprocally requisite work. In other words, brands need to reconsider their motivations and behaviors because no one is buying the be-our-friend act any longer. One problem is the mistaken notion that advertising shapes culture. Rather, advertising has always been a mirror that reflects changes in culture, politics and industry. In the Era of Logic—the ’50s and ’60s—there was a scarcity of information, so products earned markets based on clearly stated attributes. Winning brands made whites whiter, fed families more easily and vacuumed hard-to-reach places. Market saturation and mass media shifted us to the Era of Emotion. Prompted by booms of products and prosperity, conspicuous consumption kicked into high gear, and logic wasn’t enough. Your product had to make a prospective buyer feel something. A car was freedom on four wheels, jeans made you rebellious. This ego-driven style persists today, but it’s worn thin—its promises turned to platitudes, its emotion drowned in a sea of indistinguishable metaphors. Let’s consider the world in front of us: massive amounts of products and information a mere finger’s touch away. This could be a truly exhilarating landscape for brands and marketers. The bad news, however, is that brands are still working with the dated tools from the Era of Emotion. Most brands are looking at behavior but don’t question whether people’s internal motivations have changed. Spoiler: They have. Fragmentation of media and the power to the public collective, for example, are behavioral outcomes of deeper truths. Find those truths, and you transcend the “like us on Facebook” noise. Our success doesn’t lie in becoming more interesting or disruptive. What we need is purpose and to help people realize their purpose. To know your purpose as a brand is to know who you, as the brand, aspire to be. This defines your subsequent behavior inside the company, in your products, and ultimately how you impact the world. It’s the “why” your brand exists. Consider a few well-known, proven examples. Pampers helps parents care for their babies and helps toddlers’ development. Amazon enables freedom of choice, exploration and discovery. Red Bull energizes the world. Notice the commonality: Purpose transcends business and product (the what) and delivers on human principles (the why). The “why” gives businesses and brands focus, a valued role to play in modern life and a depth that resonates with people. If you commit to a purpose that will truly benefit the world in some way, you are on your way to defining your brand’s role in people’s lives, and the way you communicate with them. It is within this dialogue between brand and consumer that we can find solutions, innovate and challenge the status quo. Ultimately, we can inspire others—our kin—to find their purpose. Let’s shed the chains of our metaphors in this new Era of Kinship. It’s not people who need to do the heavy lifting—it’s our brands and us. Like a good friend, we have to help others find purpose and to give selflessly, empathetically and meaningfully. Abbie Walker is vp, strategy at brand experience agency Momentum Worldwide.